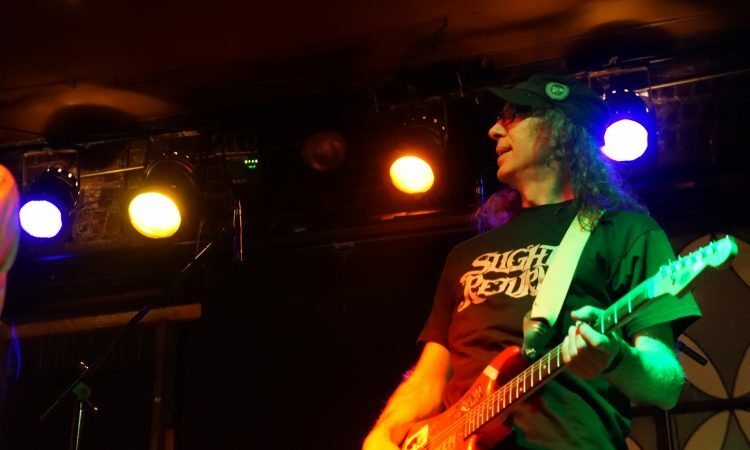 One of the best producers- Jack Endino sporting his Slight Return shirt on a gig in Seattle! Jack has worked with Nirvana, Soundgarden, The Foo Fighters and more! Jack mixed the last 2 Slight Return albums “Welcome To The D” and “Vicious Tides”. Hands down, the best in the business! Thanks to my buddy Rich Mansor for the introduction! Rich is an amazing producer in his own right- owner of Raunchola Studios in San Diego,CA- all analog!